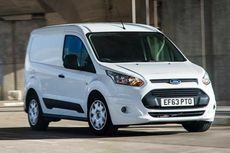 The Ford Transit Custom was launched in 2012 and, for the past five years, has been the best-selling van in the UK. 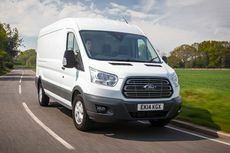 Pick-ups appeal to style-conscious buyers wanting an alternative to an SUV, and cost-conscious company car users, so how does the Hilux compare to the Mitsubishi L200, VW Amarok and Nissan Navara? 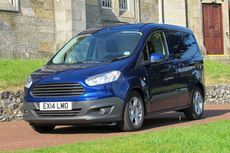 Read the Volkswagen Caddy Maxi Life MPV (2010 - ) car review by Auto Trader's motoring experts, covering price, specification, running costs, practicality, safety and how it drives. 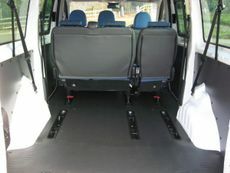 Read the Fiat Scudo Combi MPV (2007) car review by Auto Trader's motoring experts, covering price, specification, running costs, practicality, safety and how it drives. 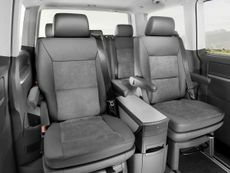 Read the Volkswagen Caravelle MPV (2010 - ) car review by Auto Trader's motoring experts, covering price, specification, running costs, practicality, safety and how it drives.